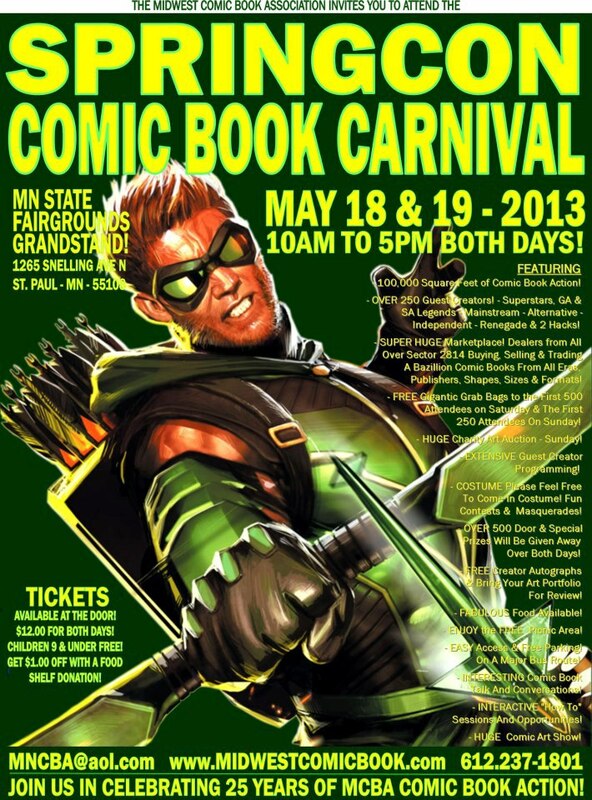 I'll be headed back to the Twin Cities this weekend for SpringCon, the local comic book show. I'll have Phantom and Popeye art at my table, and will be doing con sketches, too. There's a great guest line-up, including such notables as Liz Berube, Howard Chaykin, Fastner & Larson, Paul Fricke, Jose-Luis Garcia-Lopez, Phil Hester, Ryan Kelly, Doug Mahnke, Sam Hiti, Pablo Marcos, Angel Medina, Martin Powell, Gordon Purcell, Trina Robbins, Brent Schoonover, Barb Schulz and many more!!! For more info, please check the SpringCon website.